Celebrating our 20th year of bringing this tradition to Villa Park! 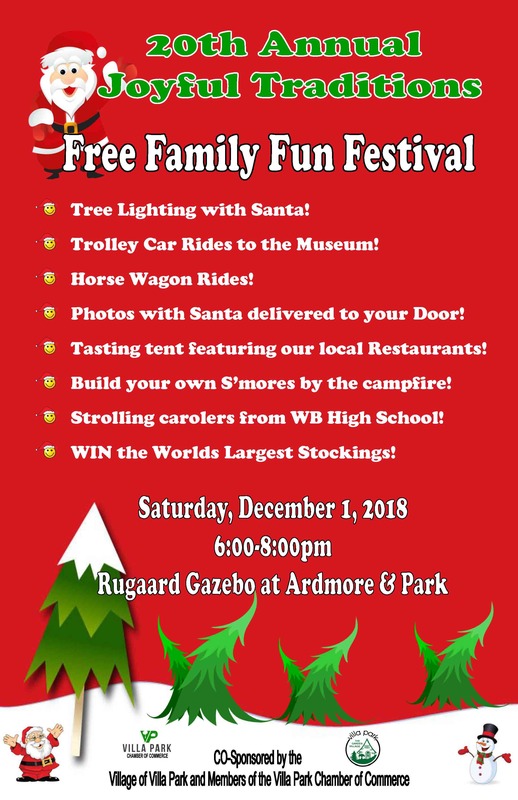 A completely Free, Family Friendly Outdoor event featuring food, photos with Santa, Horse Wagon and Trolley car rides, Smores, and Singing carolers! To find your tree location click here!